What is data and how can we derive knowledge from data? Who owns data and who should pay for storing the data? On November 3, the Danish National Research Foundation held its annual meeting for research political stakeholders and DNRF grantees. The topic for the meeting was open data. The foundation’s recommendation is that all stakeholders collaborate to develop a well-thought-out strategy for open data, with the aim that open data initiatives should both strengthen the research and ensure the individual researcher’s career opportunities at the same time. 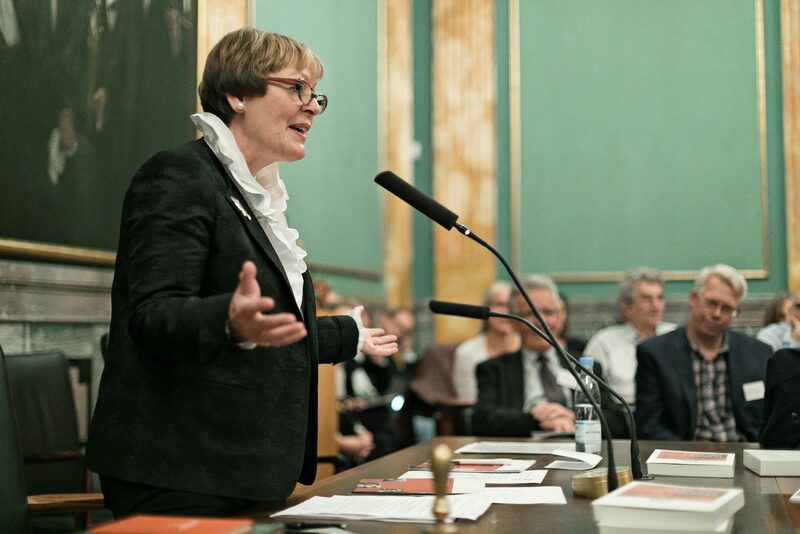 The speakers at the annual meeting, which included the Minister for Higher Education and Science, advisors and scientists from the Wellcome Trust, the Lundbeck Foundation, and the Wallenberg Foundation, and researchers from the foundation’s centers and from universities and government, offered case stories; they also shared their experiences from abroad; from the natural sciences, the humanities, and the social sciences; and from a political perspective. The discussions revolved around solving the significant challenges of financing and establishing and maintaining the databases. The Foundation’s publication Open access to data – It’s not that simple set the tone for a critical analytical stance on the subject of open access to data. The approach that open data per se is good can, at times, seem a little too automatic, because there are too many related challenges that we simply cannot ignore. Professor Liselotte Højgaard, Chair of the DNRF opened the meeting with an appeal to get all stakeholders to collaborate in increasing the access to data in a smart way. First and foremost, we must listen to researchers and data managers, who know how to collect, share, store, and reuse data. When they were asked about possibilities and challenges for open data, it is notable that the list of challenges is twice the length of the list of possibilities. 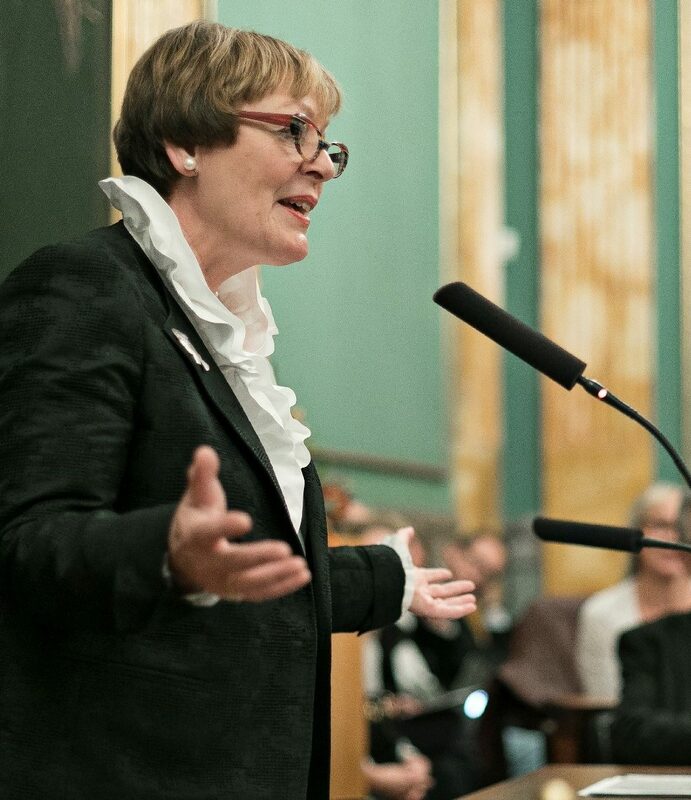 You can read more about the meeting and the Open Access debate on Videnskab.dk. “The digital revolution is an exceptional possibility for raising the research quality, but it is a challenge to utilize it wisely. One challenge is to ensure fairness for the individual researcher who collects data and, at the same time, to open data for the benefit of society as a whole” said Professor Liselotte Højgaard, Chair. 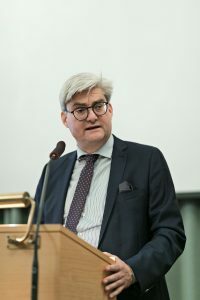 The Minister for Higher Education and Science, Søren Pind, advocated for investigating what incentives lead researchers to share data and then use those incentives as an inspiration at the political level to make the sharing of data more appealing to researchers. The minister shared the foundation’s more critical and cautious approach to the question of open access to data. One of the challenges that Professor Søren-Peter Olesen, director of the DNRF, pointed out in his talk about the foundation’s Open Data Survey is the fact that scientific journals request raw data when publishing papers. It is not ideal that the journals gain ownership of the data in this way. Are these potsherds data? Yes, they are. Although potsherds are not the first thing you associate with data, the picture illustrates many of the challenges that is connected to collecting, sharing, and storing data. The number of potsherds in this picture alone tells us what resources are needed to annotate every sherd and to store and digitalize them in a way that lets others benefit from them. This is the case for data in general. A million sherds have been registered in relation to an excavation project in Jaresh, and data will be made publicly accessible along with a publication of the results from the project, led by Professor Rubina Raja of the Centre for Urban Network Evolutions. Wallenberg Center for Protein Research. ”Sharing was always upon us, digitalization just makes it easier, and unfortunately endless” Rector of the University of Copenhagen, Henrik C. Wegener. The rector of the University of Copenhagen, Henrik C. Wegener, used his speech to highlight the fact that the most important job for the universities is to create the best conditions for research and researchers. In previous times, this would mean establishing and running libraries, and today, the case is, in a way, the same; the digitalizing information/data and establishing high-performance facilities for data processing. The overshadowing challenge is the expenses for doing so. Wegener does not see how it will benefit to be first mover on the area, especially because the risk of making the wrong investment is intimidating. The director of the Danish Agency for Science and Education, Hans Müller Pedersen, also reiterated the mantra of the meeting: “It’s not that simple”. The agency looks forward to seeing the results of its cost-benefit analysis of the introduction of FAIR data in Denmark. Along with the foundation’s survey, the analysis will serve as the kick-off for the agency’s further work with open science. Both Lia Leffland, from the Danish Academy of Technical Sciences, and Linus Jönnson, vice president at Lundbeck, highlighted that the quality of Danish data is very high and that the data contains an unexploited potential for Danish research and innovation. Leffland advocated that the DNRF’s Centers of Excellence should have leading roles in preparing Ph.D.s and postdocs to work at various companies, where the data is money and where they can contribute with their highly specialized knowledge to elevating the companies’ earnings and their level of innovation. A panel debate ended the meeting by concluding that motivation is key to producing more high-quality research from the sharing of data. A collaborative effort should be made to reduce the barriers to sharing and to meet the challenges presented by the long-term funding and storing of data. Furthermore, we must be able to distinguish between the different kinds of data and to design solutions that take into account the fact that researchers’ needs are partly dependent on specific subject areas.